In an affidavit filed before a Delhi HC Bench comprising Chief Justice G. Rohini and Justice Sangita Dhingra Sehgal, the Centre has submitted that women can join and serve in Territorial Army (TA), in its railway engineer regiments, and will also be considered for honorary commissions. The affidavit was filed in relation to a petition demanding that female (gainfully employed) candidates be recruited in Indian Territorial Army at par with males. “The women officers in TA have been promoted to the rank of Brigadier, which is the highest rank applicable to TA officers,” the affidavit was quoted as saying. With regard to the recruitment advertisement which calls for only male recruits, the affidavit contends that the recruitment of men in infantry units of TA is a policy decision taken as per the Territorial Army Act and the policy can be amended only if the law was amended. In the reply to the counter affidavit however, the petitioner Mr. Kush Kalra has argued that the Centre’s claim is “factually incorrect.” Mr. Kalra relies on the advertisements for recruitment, which he claims mention that “Only Male Citizens of India” can apply for the post of officer in Territorial Army. He has hence demanded a stay on the advertisement inviting applications for TA, during the pendency of the petition. The matter will now be heard on September 22. 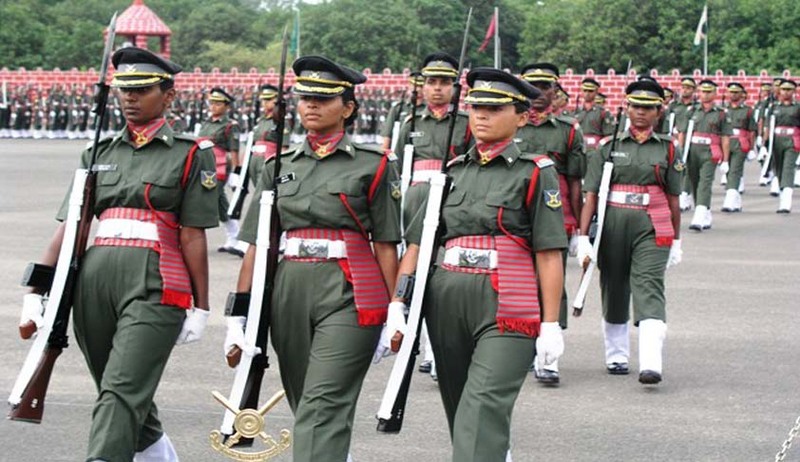 Petitioning against the institutional discrimination, the Mr. Kalra argues in the petition that the role of the Territorial Army cannot be fulfilled without the assistance of female recruits. He contends that the same violates Article 14, 15 and 16 of the Constitution of India. “At present, Indian Territorial Army (ITA) recruits only males (gainfully employed) for serving the Territorial Army. Due to this institutionalized discrimination, women are being deprived of their right to serve in Territorial Army. This discrimination on grounds of gender is violative of fundamental freedoms and human rights of the women,” the petition filed by Mr. Kush Kalra contends. “Because the present condition of recruitment to Territorial army ends up victimizing its subject (women) in the name of protection. In that regard the interference prescribed by state for pursuing the ends of protection should be proportionate to the legitimate aims. The standard for judging the proportionality should be a standard capable of being called reasonable in a modern democratic society. Instead of putting curbs on women's freedom, empowerment would be a more tenable and socially wise approach. This empowerment should reflect in the law enforcement strategies of the state as well as law modeling done in this behalf,” the petition further states. It brings to the notice of the Court that in response to a letter by the petitioner, the Additional Directorate General of Territorial Army had relied on Para 6 of Appendix I of the Army Territorial Academy Act, 1948, which he claimed prohibits recruitment of women. The inference was allegedly drawn due to the use of the words “himself” and “he” in the para. The provisions have therefore been prayed to be declared ultra vires. Read the rejoinder petition here.